Trying to decide which home improvement project to tackle next? When in doubt, ask people in the know. A professional realtor, interior designer or home inspector can steer you in the right direction on DIY projects that will add more value to your home. Want to know how much money to spend on renovating your house? 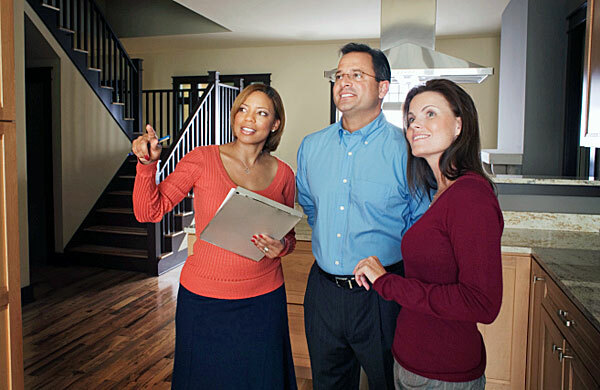 A realtor can help you decide on projects that will bring in buyers. An interior designer can advise you on the latest trends and colors to use while a home inspector will flag potential problems for you, like leaks, electrical issues, termite damage and building code violations. These professionals can help you separate what is an important improvement from a personal preference. Floors – Dirty old carpets are a turn off to buyers and are bothersome for allergy sufferers. Consider replacing it with engineered hardwoods or laminate. At the very least, have your carpets cleaned professionally. Windows and Doors – Energy efficient windows and doors will help cut your power bills and provide a big selling point when you do decide to sell. Paint – This is a great way to freshen up your entire house. Realtors will encourage you to use neutral colors to help buyers envision how their furniture and artwork will fit in the space. Clean up – If you aren’t going to paint them, then scrub your walls. Make sure there are no dings or scuff marks. Don’t forget to clean the window blinds, baseboards and trim. Lighting – Like fashion, lighting fixtures go out of style. Update them and use new energy efficient bulbs. Natural light sells a house so consider installing a skylight or sun tube in dark, small rooms. You don’t have to take on a big renovation. Small do-it-yourself projects can make a big impact on the value of your home so don’t discount them. Just changing out an old vanity and the sink fixtures can revive the look of a bathroom. Focus your efforts on projects that will boost your home’s selling potential while adding to your family’s enjoyment. So ask a professional for their opinion, you’ll be glad you did. A fresh coat of paint is an inexpensive way to liven up any home – inside or out. Check out our blog, Paint Like a Pro – Tips for Painting Your Ceilings and Walls for the helpful hints you need to get started. From floor sanders and drills to paint sprayers and carpet cleaners, our expert staff is always on hand to help you get ready for your next home improvement job. As always, if you have any questions about pricing or how-to’s, don’t hesitate to contact us. Stop by our store — we’re open seven days a week. Thinking of selling your home or just wanting to update your surroundings? Before you start an expensive kitchen remodel, consider how a few DIY projects could not only add value to your home, they can make your house more appealing to potential buyers. First, make a list of all the improvements you would like to accomplish. Talk with or a realtor or an interior designer for ideas on how to enhance your home’s appeal. Keep renovations in line with the sales value of your home and neighborhood. Your goal is to get a good return on your investment. Buyers typically look for existing houses where the basics like the roof, foundation and plumbing are in good shape. A remodeled kitchen cannot make up for a leaky roof; however, replacing a worn out roof can return as much as 80 percent of its cost at resale. First impressions – The front entryway is your first an opportunity to make a good impression. 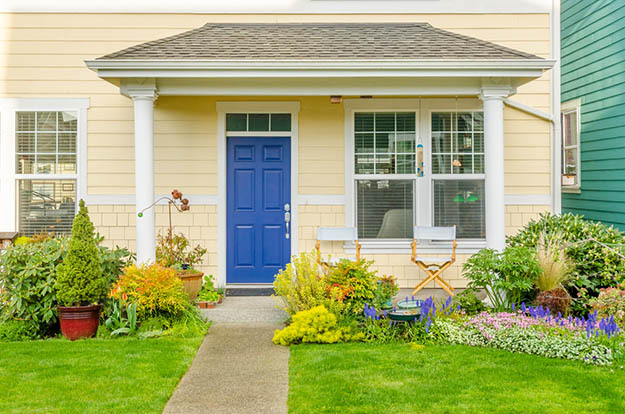 A freshly painted door, an awning and a working doorbell go a long way. Address the basics – Add insulation, repair leaks, clean windows, rugs and wood floors. In addition, have the furnace and septic tank (if applicable) inspected. Let in the light – Dark rooms are uninviting. Add new light fixtures and consider a sun tube or skylight to bring in natural light. Improve the landscape – Curb appeal gets buyers in the door. Unkempt bushes and trees obstruct views. Mow the lawn, prune and plant shade trees and drought tolerant plants. Go green – Use energy efficient appliances if replacements are needed. Don’t forget your floors – Repair cracked tiles and squeaky floor boards. If you do replace the floors, consider engineered hardwoods or tile as an allergy free alternatives. Paint – Neutral wall colors help buyers visualize their belongings in a room. Declutter – Purge and organize clutter to help rooms look larger. If you’re simply looking to make improvements that will pay off down the road, consider building an addition. Every 1,000 feet increase of space can boost the sales price as much as 30 percent, especially when you keep the total square footage in line with the houses available in your neighborhood. Home improvements can help sell your home faster as well as make your life more enjoyable. Come up with a game plan, do your research and go for it. Take things one step at a time and soon your efforts will show big results. Still not sure what DIY project to start first? 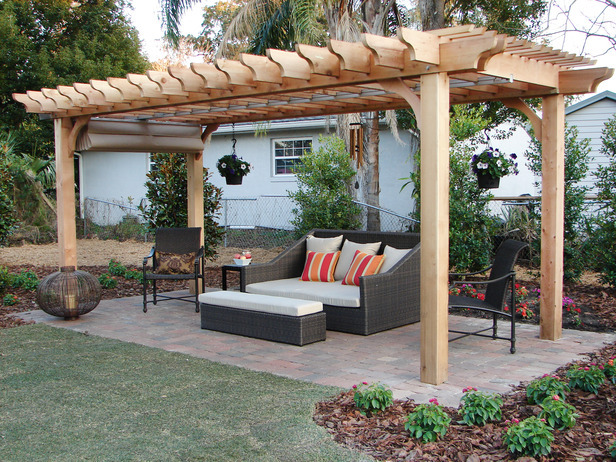 Our blog, Check These 10 Indoor and Outdoor Improvements Off Your Spring Checklist has helpful tips to get your house in awesome shape. From circular saws and drills to paint sprayers and pressure washers, our expert staff is always on hand to help you get ready for your next home improvement job. As always, if you have any questions about pricing or how-to’s, don’t hesitate to contact us. Stop by our store — we’re open seven days a week. What’s worse, the scorching summer heat or the burn you feel when you open the power bill? This year, don’t let high temperatures get you hot under the collar. 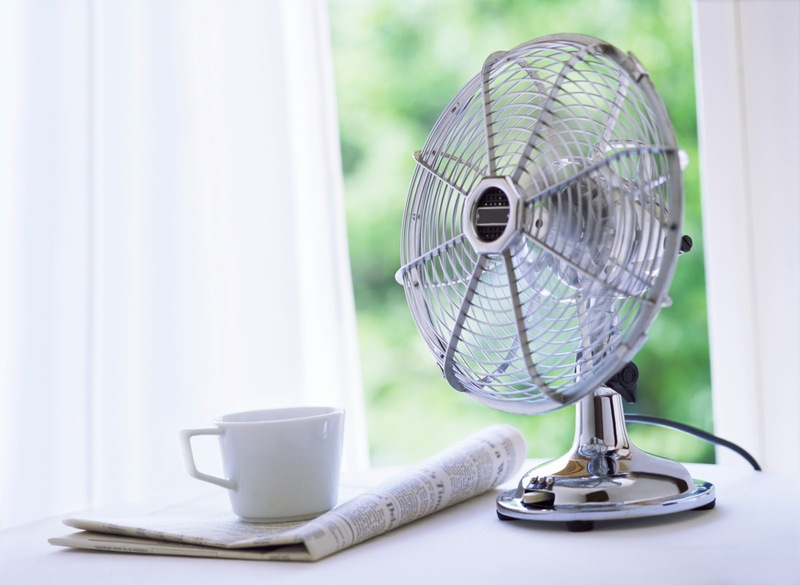 A few simple DIY changes around your home will help you beat the heat and save some cool cash. Besides hanging a huge beach umbrella over your house all summer, what can you do to lower energy costs? By taking some of these simple steps, you will not only lower your power bill during the summer but all year long. Unplug your devices – Don’t just turn TVs and other appliances off, unplug them. They continue to drain power even when off. Invest in a smart strip which shuts off the electricity directed to each item. Use ceiling fans – Fans circulate the air in a room and keep you cool. Set the thermostat at a higher temp and turn the fans on in the room you are occupying. Close doors and vents – When rooms are not in use (like your guest rooms), shut them off and close off air vents to reduce the square footage your AC has to cool. Add insulation – Sealing air leaks in walls, the attic and around pipes will cut down on energy loss. Blow more insulation into your attic. Turn off lights – Don’t leave lights on in rooms you are no longer in. Have the A/C inspected – Keep your system running efficiently and have your duct work checked for leaks. Dirty air filters make your unit work harder so change them regularly. Install a programmable thermostat – These turn your AC down or off while you aren’t home. Dry clothes outside – Take advantage of the summer heat and hang your clothes on a line or rack to dry. Dryers (along with refrigerators) are the biggest drain on your home’s energy. Plant some shade – Trees and shrubs can help lower the heat on the outside of your home. Deciduous trees (ones that lose their leaves in fall) can offer shade during the summer but allow light to warm the house in the winter. Turn off the oven – Plan meals that don’t involve heating the oven. Try using a toaster oven for warming and browning or a microwave … or grill outside! If you’re looking for even more cost savings, start setting your thermostat at a higher temperature. For every three degrees you raise it you can save 20% on your power bill. A good rule of thumb is to keep your thermostat set at 75 degrees or higher and use ceiling fans. A programmable thermostat will allow you to keep the A/C set at a higher temperature during the day and a lower one during the evenings when you are home. Install UV film on windows that get substantial amounts of direct sun. It will reflect the heat back from the glass while allowing the light to come in. It is also good for keeping the sun from damaging expensive wooden doors and entry ways. If you are considering replacing your roof, look into a “cool roof”. The material these roofs are made of help reflect the heat and will keep the attic cooler. Roof color is also important. In warmer climates a lighter roof will help deflect heat while darker ones will hold heat. Making a few DIY changes around your home will lower your energy costs and your blood pressure. Stay cool this summer and use the money you saved on your power bill toward your next home project. Trying to get that power bill under control? Our blog, Find Air Leaks in Your House and Plug ‘Em Up Fast, will help you determine where they are in your home and how to tackle them. From a ladder and a drill to an insulation vacuum and a blower, our expert staff is always on hand to help you get ready for your next DIY project. As always, if you have any questions about pricing or how-to’s, don’t hesitate to contact us. Stop by our store — we’re open seven days a week. You’ve been working really hard on your home’s curb appeal and there’s one thing that has you stumped – the driveway. Do you repair the cracks or bite the bullet and replace the whole driveway? It’s a quandary facing many homeowners today. Let’s look at your options. A driveway puts up with a lot, from the weight of the family cars to harsh weather conditions. Unfortunately, age does matter when it comes to driveways. Concrete surfaces have a life span of 20-25 years before the materials just give out. Take a close look at the condition of your concrete. Cracks less than a quarter of an inch wide are usually signs of expansion and contraction due to weather. Cracks larger than a quarter inch may be due to tree roots or water erosion underneath. Potholes are normally a sign that the concrete is deteriorating to the point where it needs to be replaced. 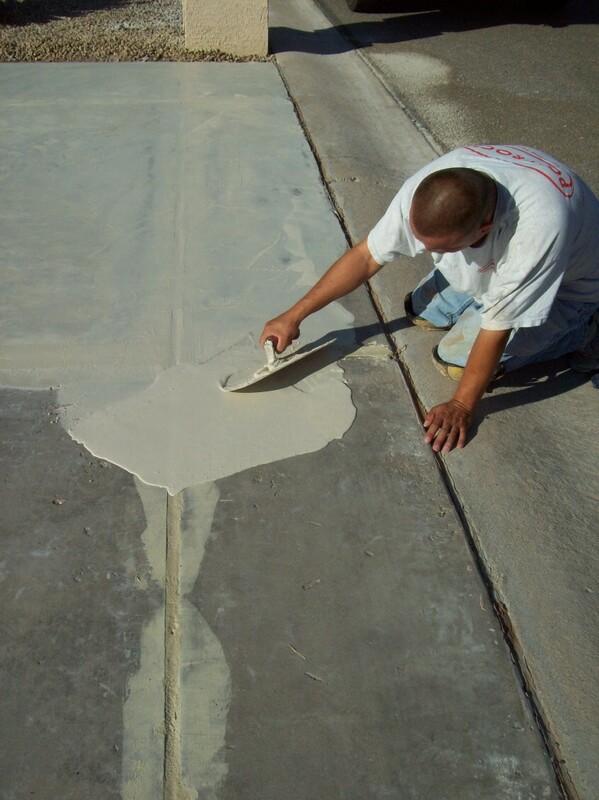 Cement resurfacing mixture – A fast drying polymer based coating that covers cracks. Long-handle squeegee – To apply resurfacing material and work into cracks. Duct tape – Tape off expansion joints to avoid filling them in with resurfacing solution. Chisel – To cut debris from cracks. Wire brush – Helps dislodge broken concrete. Concrete sealer – Fills and expands in small cracks. Trowel – Works sealants into cracks and smooths surface. Sand – To fill in deep cracks first before applying sealant. Water sealer – Helps waterproof your concrete. Once you determine the condition of the concrete, power wash your driveway. Use cleaners and scrub brushes to remove motor oil, dirt and stains. A clean surface allows sealants to adhere and fill in cracks fully. Let the concrete dry full before using sealants. Step 1 – Fill cracks and potholes. Use a trowel to compress concrete caulk or sealer into cracks. Step 2 – Protect yourself. Many products have harsh chemicals and fumes, so wear gloves and a mask. Step 3 – Let it cure. It may be 48 hours before you can park cars on it. Read your product instructions for recommendations. Step 4 – Seal it. After your repairs have dried, protect your concrete with water sealant. Resurfacing is an economical way to renew your concrete at a fraction of the cost of replacing it. The liquid compound dries quickly (in about 30 minutes) so work fast with a squeegee to smooth it across the concrete. Tape off your expansion joints so they aren’t filled. For a non-skid surface, use an old broom to brush across the mixture, giving it texture. Resurfacing allows you to choose different finishes (glossy or dull), colors and patterns. Due to the quick drying time, test a small area until you get the look you want. This process is not a permanent fix and will need to be re-done every two to three years. If you are trying to sell your home, a cracked driveway is going to raise a red flag for buyers. Consider resurfacing prior to putting your house on the market. It is amazing what a fresh, new driveway can do for your curb appeal. Replacing a driveway can be a big expense but thankfully one that you only have to do once every 20 years, give or take. Repairing cracks as you find them will help keep your drive looking good for years to come. From concrete mixers and trowel machines to pressure washers and grout pumps, our expert staff is always on hand to help you find the right equipment for your next DIY home improvement project. Want more information on repairing a driveway? Our blog, The 7 Step Process to Restore Your Cracked and Eroded Driveways will help. As always, if you have any questions about what to choose, pricing or how-to’s, don’t hesitate to contact us. Stop by our store — we’re open seven days a week.